Ever wanted to combine your love of video games with your love of Stamp collecting? Well now you can thanks to Bethesda. 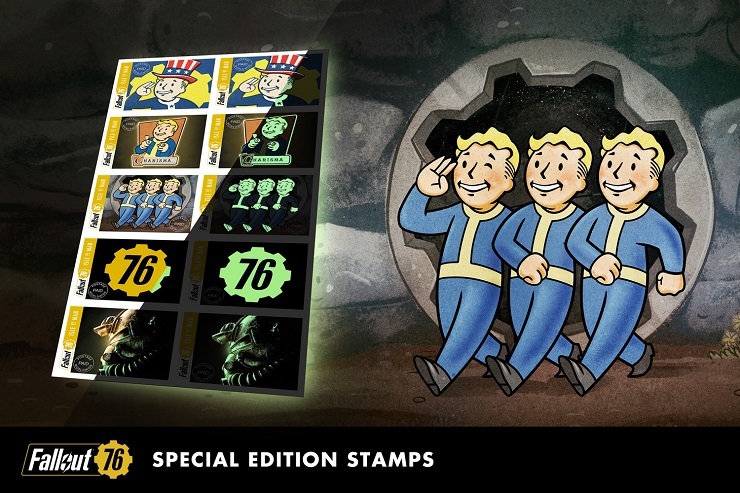 Yes, you read that right, next week’s launch of Fallout 76 is to be commemorated by Bethesda with the release of special stamps across the UK and Europe. Bethesda has worked with the Isle of Man Post Office to create five official stamps featuring pictures fans should know pretty well. It’s not yet known if these will be available for purchase, but Bethesda has stated that these will be made available as part of giveaways via social media interactions, so keep your eyes peeled on the official channels for more info.